While I was creating this tasting, I noticed something. 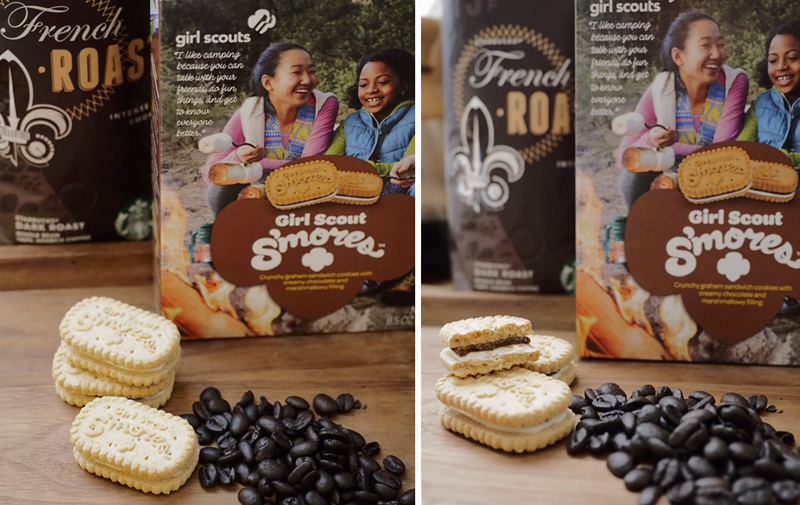 Different regions have different Girls Scout cookie flavors, and also there are multiple names for the same cookie! Being from the West Coast this is new to me. 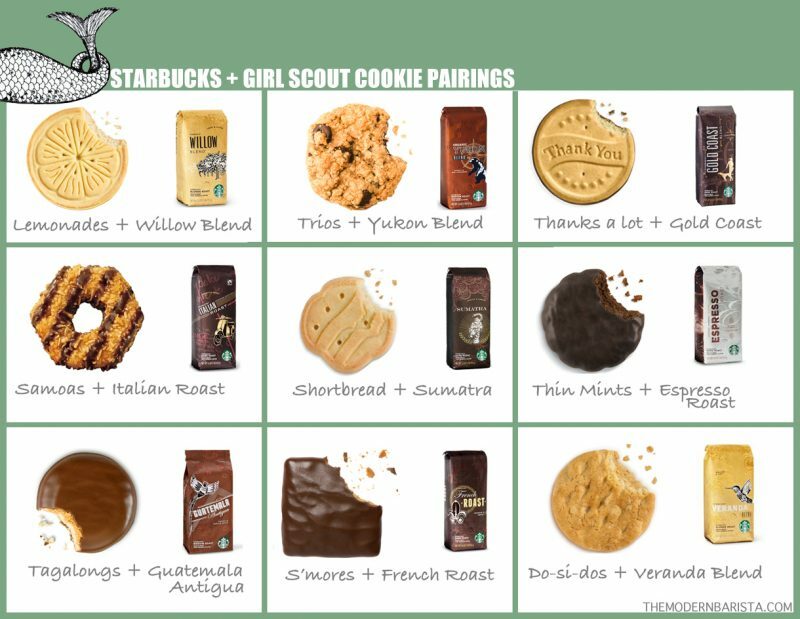 Using the official Girl Scout website, I compiled this list, but you might have different cookies, or the same cookie with a different name. I will try to make notes of this below. Also, these are just my personal choices for pairings. I have received a lot (and I mean a lot!) of feedback about using French Roast, and certain pairings. 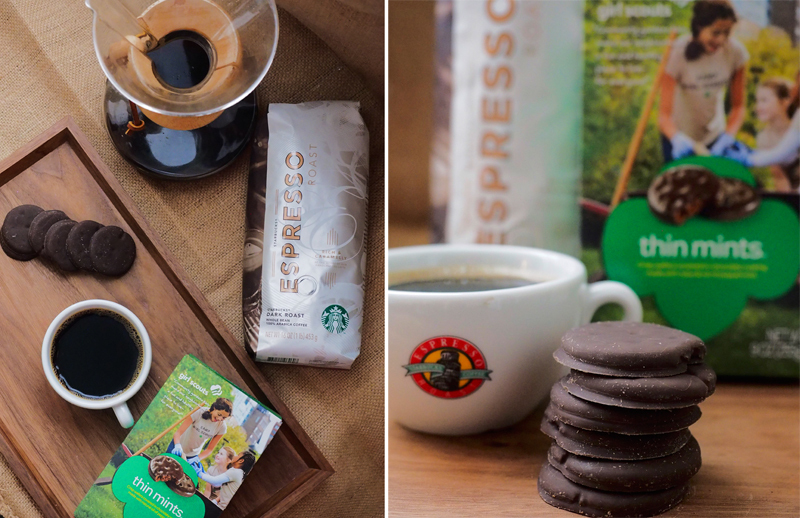 Honestly, Girl Scout cookies go with everything, and there is no wrong way to pair cookies with coffee! If you’s like to share your pairings, please drop me a comment! Espresso and mint is a classic flavor combination. If you’ve ever been to the Roastery, they have this amazing drink called the sparkling espresso with mint. That drink was the inspiration for this pairing. I decided to brew up the espresso roast in a chemex. Depending where you are, you’ll either have Savannah Smiles or Lemonade cookies. Here in the mitten, we have Savannah Smiles. These are a lemon flavored cookie dusted with powdered sugar and are absolutely stunning with the Willow Blend. Most partners seems to shy away from Willow, but I urge you to try it as a pour over or as a cold brew. Life changing! When it comes to French Roast, it seems that many partners are not a fan. Yes it is intense, but that intensity goes perfectly with the toasted marshmallow flavor. Try french roast in a chemex, or as a pour over, you might be surprised! This is another cookie that has two different variations; chocolate covered and plain. Toffee-tastic and Trios are the two gluten free Girl Scout cookie offerings. Depending on your location, you will have one of these varieties, and thankfully, they both pair with Yukon Blend! Yukon is a blend of Latin American and Asia/pacific beans. This blend lends itself to the oatmeal in the Trios and the toffee sweetness in the Toffee-tastic cookies. Brewed in a press, this is a pairing that can’t be beat. 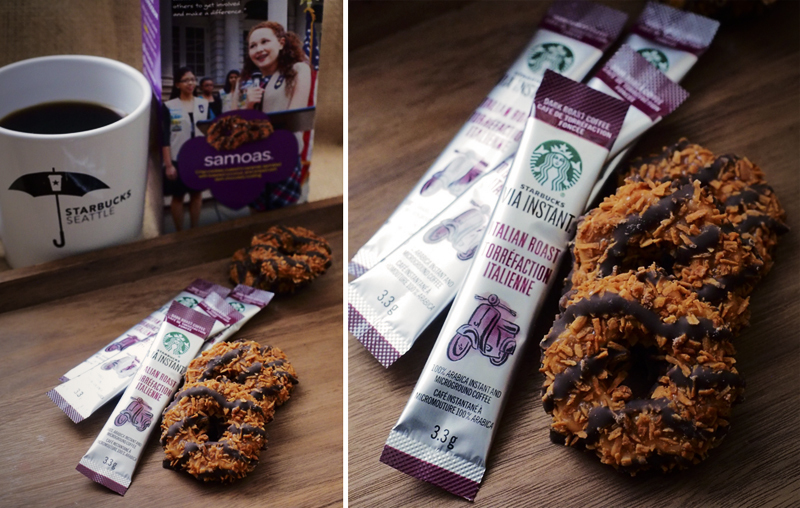 Samoas are my favorite Girl Scout cookie, and I had no idea that in some markets they are masquerading under a different name. Caramel deLites just sounds wrong. These will always be Samoas in my heart! This is another pairing that readers seems to be passionate about. Everyone says Samoas and Verona are the perfect pairings. 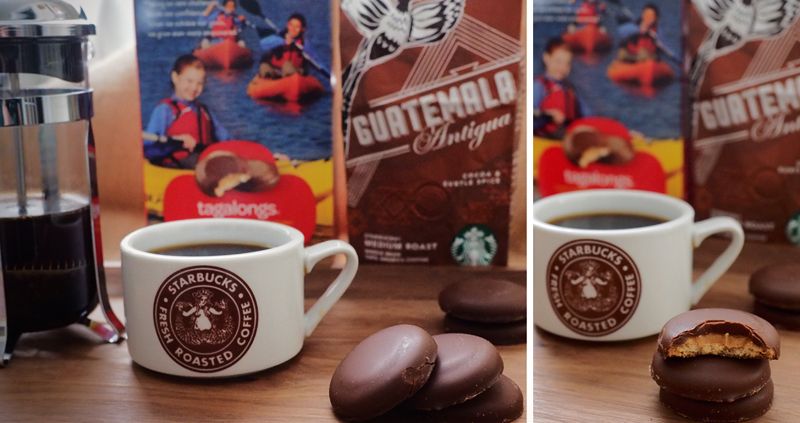 I won’t argue with you, I think Samoas go with everything, but the sweetness of the Italian Roast with the Samoas have won my heart (remember, Verona is 20% Italian roast as well!) I decided to use Italian Roast via for this pairing, because it is something that I drink every day. It is my go-to coffee in the morning. 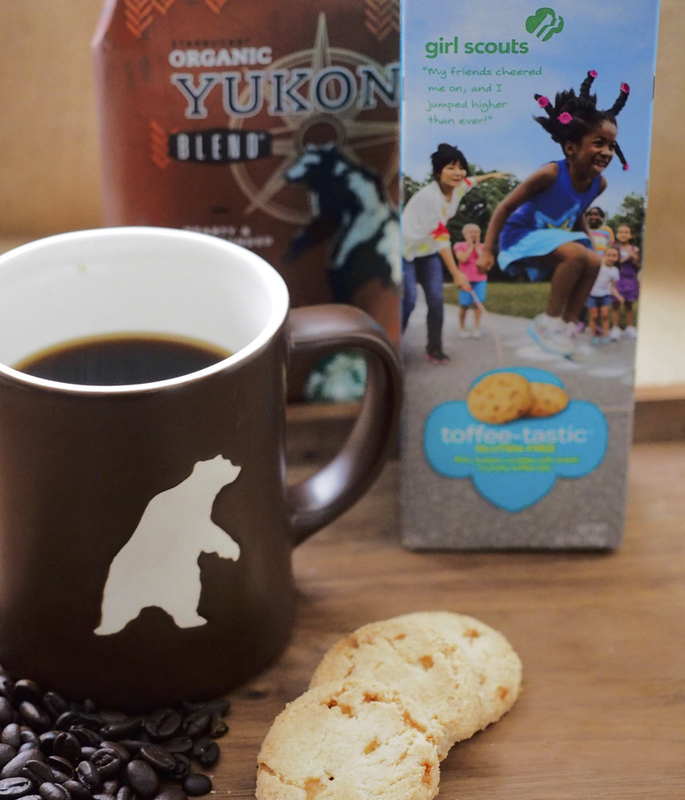 Sumatra brewed in a coffee press paired with buttery shortbread is simple, yet delicious. The simplicity of the shortbread pairs so well with the buttery body and herbal notes of Sumatra. Tagalongs have a rich layer of peanut butter, covered in chocolate. I decided to pair these with single origin Guatemala. When made in a coffee press, the rich milk chocolate notes and subtle nutty flavors come alive. *I can not find “Thanks a lot” cookies anywhere! I will update this post with the final tasting once I find them! I just heard about your blog, and your great Girl Scout Cookie coffee pairing chart in a meeting. 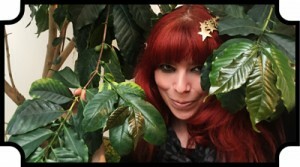 I am a 21 year partner for Starbucks. We had a coffee tasting at the beginning of our meeting, and we tasted Kenya with one of the lemon cookies. (sorry, I am dialed into the meeting; and I don’t remember the cookie name). You are a rock star! I think you should be working for our web team. hi gina!! i am not currently living in Seattle, but next time I plan on visiting, I’ll send an email to try to set up a tour! That has always been on my starbucks bucket list 😉 I have been outside of the plant before.. but never inside. re: working for the web team… that would be the dream. i see you’re on workplace, so we can follow each other there also! Congrats on 21 years!!!! Proud to be your partner!